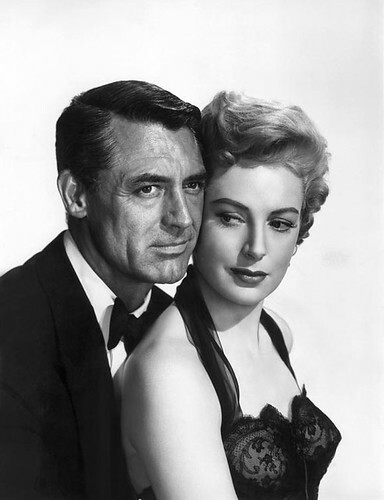 Cary Grant and Deborah Kerr are one of old Hollywood's best screen teams thanks to their performances in the romantic classic, An Affair to Remember (1957). The duo made two other films together The Dream Wife (1953) and The Grass is Greener (1960). 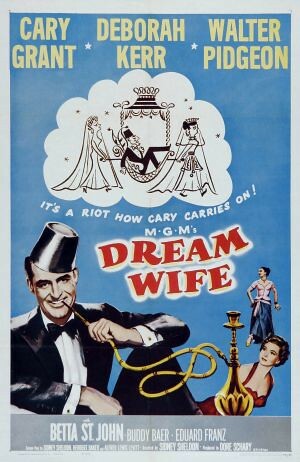 Cary Grant and Deborah Kerr's first onscreen partnership was in The Dream Wife (1953), a silly romantic comedy about the battle of the sexes. By 1953, both Grant and Kerr needed a re-boot to their screen personas. Grant had been a huge star in the forties, but his career had faded a bit in the early fifties. Grant was hoping that his role as a macho businessman in The Dream Wife would return him to the ranks of old Hollywood's most sought after leading men. A vintage poster from The Dream Wife (1953). On the other hand, Kerr was a huge star, having appeared in box-office sensations like King Solomon's Mines (1950) and Quo Vadis? (1951), mostly playing high-minded patrician roles that matched her clipped British accent and delicate beauty. Kerr had grown tired of these "white-gloved" roles and she believed that playing a sophisticated State Department diplomat would give her the chance to make riskier choices. Cary Grant must choose between Betta St. John (left) and Deborah Kerr in The Dream Wife (1953). Unfortunately, The Dream Wife didn't enhance either Grant or Kerr's career. It was, as Kerr aptly put it, "moderately funny and moderately successful," but the film certainly doesn't have enough impact to alter anyone's career. 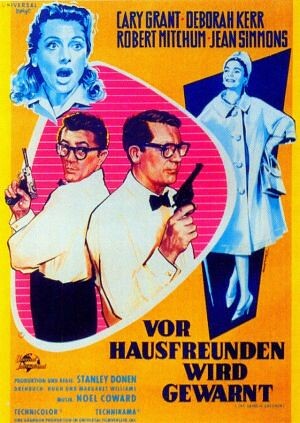 The Dream Wife is a kind of prequel to I Dream Jeannie (writer and director Sidney Sheldon would go on to producer that classic sixties sitcom), with Grant playing Clemson Reade, an American businessman who is tired of his on-again off-again fiancee's (Kerr) constant focus on her State Department career. Grant then gets himself engaged to the daughter (Betta St. John) of a Middle Eastern sheikh who is trained in the art of catering to men. Hijinks ensue when Kerr is called to the sheikh's palace for some complex oil negotiations. 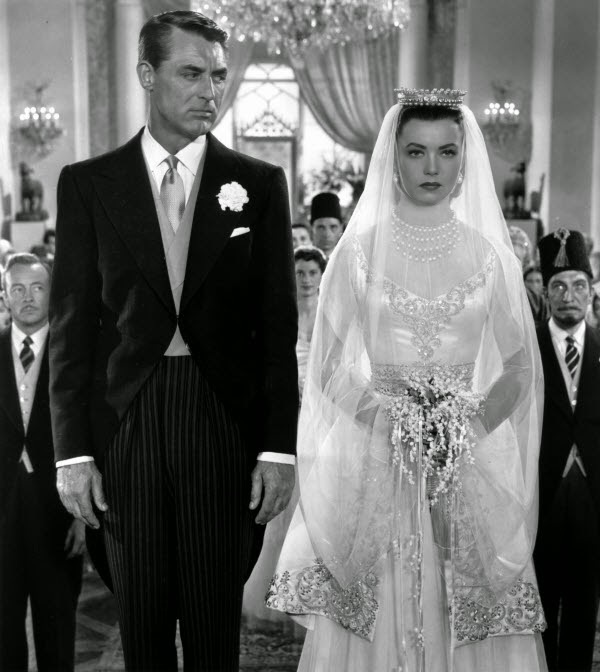 Cary Grant walks down the aisle with The Dream Wife (1953). As you can tell from the synopsis, The Dream Wife isn't the most progressive film (I Dream of Jeannie actually does a much better job with gender politics) and it certainly didn't do anything for either Grant or Kerr's career. Grant, who continuously squabbled with Sheldon during the filming of The Dream Wife, went into a self-imposed retirement after the film's release. Alfred Hitchcock managed to lure Grant back to the movies with To Catch a Thief (1955). That film successfully rebooted Grant's career and lead to his iconic roles in North by Northwest (1959) and An Affair to Remember (1957). Kerr's career turned around later in 1953 when she appeared in From Here to Eternity as an adulterous military wife. Her famous beach scene with Burt Lancaster successfully wiped away her prim and proper image and she went onto play several challenging roles in Heaven Knows, Mr. Allison (1956), Separate Tables (1957) and The Innocents (1961). The Dream Wife is available on DVD and video on demand. By 1960, Grant and Kerr were a beloved screen team thanks to their roles in An Affair to Remember (there's much more about that film here). 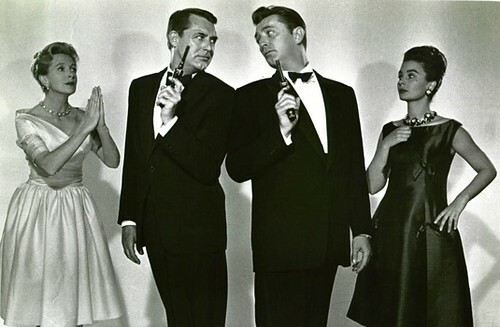 Grant had just come off a huge hit, the submarine comedy Operation Petticoat (1959), and he decided that he wanted more challenging fare for his next film. Grant chose the popular British play The Grass is Greener as a perfect vehicle for another collaboration with Kerr. Cary Grant and Robert Mitchum face-off while Deborah Kerr and Jean Simmons look on in The Grass is Greener (1960). Grant and Kerr play the earl and countess of Rhyall, a pair of penniless British aristocrats who must open their stately home to paying guests. A Texas oilman (Robert Mitchum), who visits the mansion falls in love with Kerr. Grant then reconnects with an old flame -- a madcap American heiress memorably played by Jean Simmons -- in order to make his wife jealous. The Grass is Greener is a fun film thanks to Stanley Donen's sharp direction and the chemistry between Kerr and Grant and Kerr and Mitchum. It wasn't a big hit at the box-office, but the film has gained a much deserved cult following and it's certainly worth checking out on a snowy afternoon. 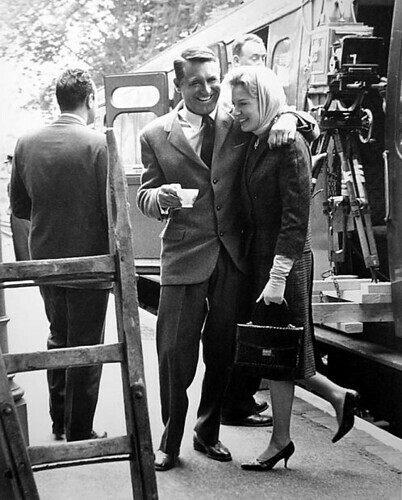 Old pals Cary Grant and Deborah Kerr on the set of The Grass Is Greener (1960). Grant would have a few more huge hits, most notably Charade in 1963, before retiring from Hollywood to raise his daughter, Jennifer. Kerr continued working in films, theater and television until her retirement in the late 1980s. The Grass is Greener is available on DVD and video on demand.